According to the study, ‘OIL & GAS GLOBAL GROUP OF EIGHT (G8) INDUSTRY GUIDE 2013-2022’, considering the G8 countries which excludes the Middle East, USA is the leader in the oil and gas industry producing huge amount of oil. 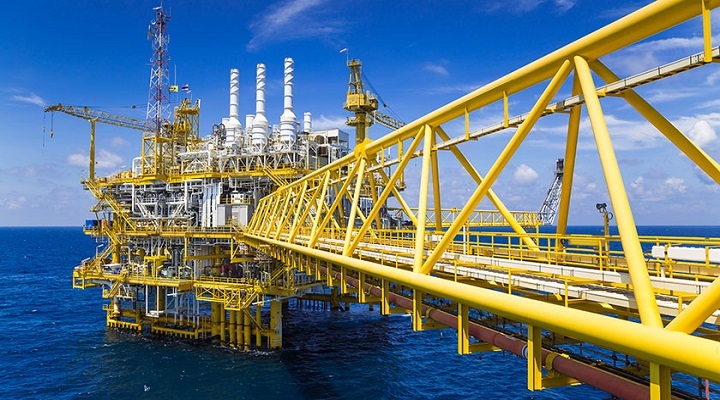 Global Oil and Gas Industry is growing year on year during the last decade due to increasing demand for oil especially from the developing countries such as India and China. Developing countries require crude oil in order to fuel their growth further. The primary hub for oil industry is the Middle East which holds most of the oil reserves thus putting them at an advantageous position. In January 2016, USA’s ban on export of oil was lifted and ever since the United States export of oil, liquefied natural gas (LPG) and refined products continue to rise. Although, United States is still a net importer of oil however, its recent advancements in the industry could potentially change its position in the international market. This would further change the USA’s stance on geopolitics and national security. Given Mexico’s geographical location and close proximity, it could prove to be a good market for USA’s oil and natural gas industry especially refined products but only if USA is able to maintain good relations with Mexico. The unconventional cost reduction that has been achieved by manufacturers in the United States is their major USP. Cost reductions are an important aspect of not just the oil manufacturers but also the natural gas industry where the producers have not been just able to reduce the cost but also sustain the lower cost. Some major companies that function in the USA include Exxon Mobil, Chevron and ConocoPhilips. Various studies conducted by organizations in Russia, prove that the industry experts are satisfied with the current state of affairs of the Oil and Natural Gas Industry and expect this to industry to grow in the future. The cost of oil and gas industry in Russia is very stable which is expected to show stability in the future with no erratic shifts. This shall aid the industry in growth in the coming years as the current levels of production can grow easily. The Russian Industry aims to cash in on the growing demand globally with little focus on national demand which is growing at a slow pace. Companies in Russia are investing large amount in the R&D segment to improve on the quality of their produce. As per the available data, Japan ranks among the top 5 countries which consume the maximum oil and its major oil dependency is met from the Middle East especially the United Arab Emirates. Recent steps by the Japanese government in order to develop the self development ratio (SDR) of oil in proportion to its oil imports which has given a boost to the oil and natural gas industry. These steps include providing financial assistance for sea exploration via the government agencies such as Japan Gas, Oil and Metals National Corporation and Japan National Oil Corporation. Although the world might be shifting to renewable forms of energy however, with the entry of United States in the global market could potentially mean the changing of the entire industry landscape. The demand would also be met strongly from the Russian and Japanese companies who are producing huge amounts of oil and gas in order to enhance their market share.